A large portion of my time at work managing Information Technology is spent handling security and availability of data. The number of compliance controls has sharply risen in recent years as a direct result of the publicity of data breaches and high profile data theft. Quite frankly, security and availability compliance is a bit chaotic right now with new job creation, changing standards, new standards, and individual company risk assessments. I performed a simple test this morning to how browser privacy settings affected my experience with some internet sites. For all these tests I used the Google Chrome Browser. Other browsers have similar features. Note: There are so many variations for privacy settings across sites that this can quickly become a complex subject. Businesses rely on cookies in your browser but also have the ability to track your history on their site in their databases which is governed by their privacy rules. My simple test was to see how I might increase some of my privacy by adjusting a couple of settings on a browser. Select the three vertical dots in the upper right corner and then select “settings” or go to chrome://settings/ in the browser address bar. 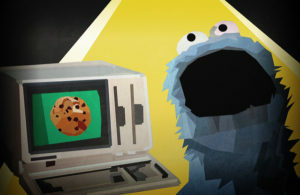 This setting allows the sites visited to set their tracking and information cookies. But each time the browser is closed all of the cookies are removed. Automatically clearing cookies means it is necessary to log into the websites each time the site is revisited. Clearing cache files causes websites to load more slowly after a browser restart. Are the performance downsides worth the small increase in privacy? I checked sites Amazon, eBay, and Facebook and targeted ads were not there across different browser sessions. But I did have to reauthenticate. I didn’t find any in-line ads for tires, toner or coffee initially. I noted that I had not clicked on any search results; I just searched and viewed results. I went back and researched on Keurig k cups. Then I clicked on a result from Amazon. When I did this, the recommended buys from Amazon completely filled with k cups. I closed the browser and the recommended buys changed back to something I had purchased in the past. But the site still showed items I had recently browsed. Since I cleared cookies I had to re-authenticate for my account. eBay only filled a section with recently viewed items which gave me the impression they were only seeing activities performed on their site. Since I cleared cookies I had to re-authenticate for my account. Facebook had no advertising in-line but did serve ads on the right-side of the page under the title “recommended for you nearby”. The ads I saw didn’t match tires, printer toner, or coffee. Since I cleared cookies I had to re-authenticate for my account. Advertisers buy targeted ads based on specific interests. I guess my timing wasn’t right for my three tests. From your Facebook profile, click on the small upside-down triangle in the upper-right side. Facebook selects Yes as the default option. Change the permissions to No. There are various sections for activity tracking by Google (search, devices, YouTube, location, etc.) Read each section and designate if you want Google keeping that information. Unless I go off the grid or completely stop using the internet, it’s not possible to stop all monitoring of my activities by my internet provider, merchants, search engines, etc. Playing with the browser settings may limit some of the trails I leave and give me a sense of a little more privacy. The settings can certainly reduce the size of my electronic footprint but not eliminate it. As I mentioned before, it’s up to the individual to weigh the trade-offs of privacy with usage on the site. Photo credit: Surlan Soosay via creative commons.